During the last 25 years Carsten Hellpap has worked at GTZ now Deutsche Gesellschaft für Internationale Zusammenarbeit (GIZ). 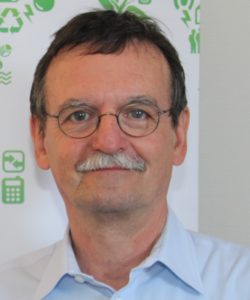 Mr. Hellpap was head of the German Appropriate Technology and Ecoefficiency programme (GATE), supporting the introduction and dissemination of different types of technologies in developing countries, considering economic, environmental and social factors. In 2005 he became director of the Energising Development programme (EnDev), a global programme on energy access, which is active in 25 countries and is supported by six European donors. He carried out several training programmes for international organizations and has been lecturer at the University of Darmstadt for seven years. He is currently senior energy advisor for EnDev and for the new BMZ initiative People and Community-Centered Green Energy for Africa.